Previous Golden Apple winners have received their awards amid the cheers of gathered students and co-workers. 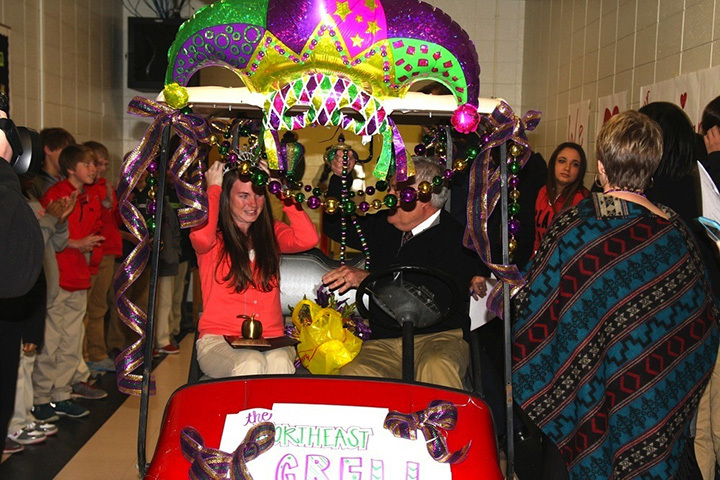 However, Northeast Middle School math teacher Niki Martin got a parade. 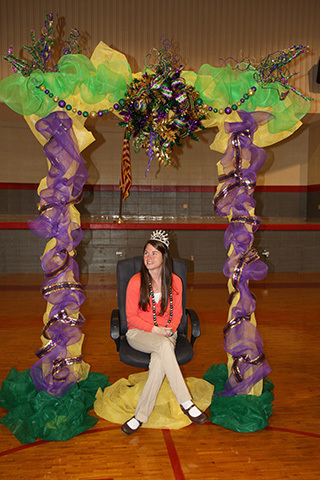 Martin was named queen of her own Mardi Gras parade when the eighth-grade math teacher was named the February Golden Apple Teacher of the Month. 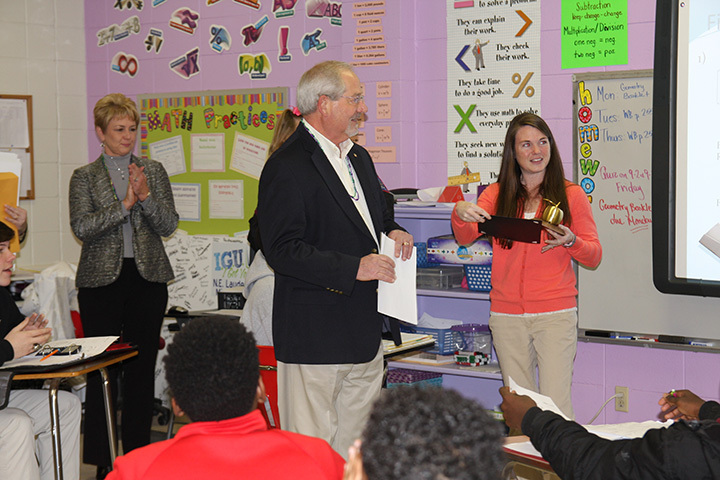 Martin, a 12-year veteran, is the fourth Northeast Middle School teacher to win the monthly award that recognizes the best teachers in East Mississippi. "Very shocked, but since I knew three other teachers here had gone through it, I kind of recognized what was happening," Martin said. "Still, I'm very honored. I'd like to thank all the sponsors, our administration, my students and my fellow co-workers." As the February Teacher of the Month, Martin was awarded $1,000 in school supplies by the Golden Apple Partners in Education, a $500 tuition voucher, and $300 cash. 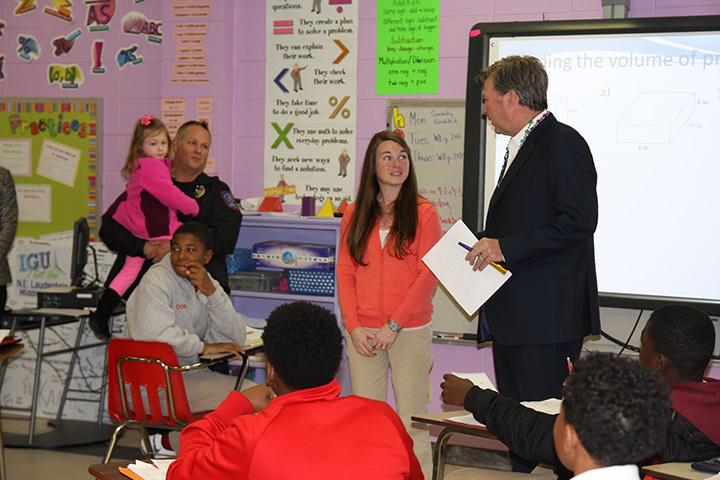 Martin will also be in the running for the Teacher of the Year Award, which will be announced on May 28. 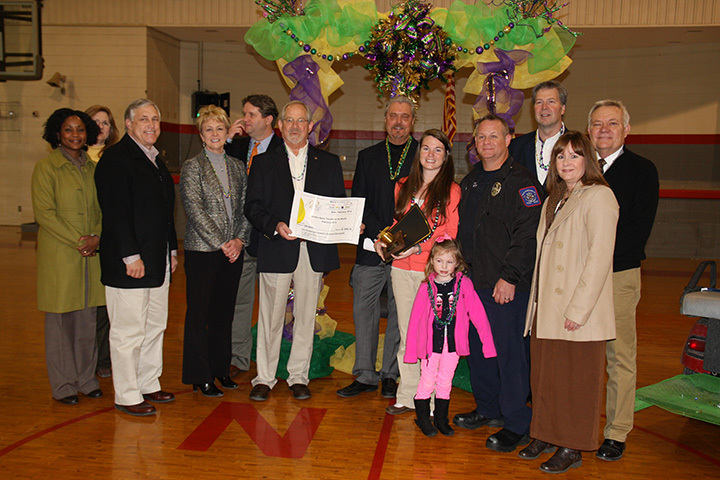 The winning teacher will receive a $2,500 prize and a $2,500 scholarship for a graduating senior of their choice. Mike Reed, one of the presenting sponsors for the Golden Apple Award, said Martin was a worthy choice for the February honor. "She has gone above and beyond and has done an exceptional job here," Reed said. "This (Northeast Middle) has become one of our favorite schools." Northeast Middle School Principal Billy Burnham said he has seen Martin grow both as a person and an educator in his eight years at the school. "What people forget about these teachers is that they have lives outside of school," Burnham said. "She has two lovely children and a husband. When I met Niki eight years ago, she was a young single woman. Now, she has a family with children; and I saw her grow into that."